Are you the parent of a troubled youth and feeling like there is no help for your child? There are many different facilities that you and your teen can research that can be helpful. Each program should be carefully thought out and researched to make sure that your troubled teen will receive the correct care for their situation. Some options of facilities are boot camps, residential treatment centers, wilderness treatment programs, behavioral modification programs, therapy programs, therapeutic boarding schools and other specialty boarding schools. If you would like a professional opinion on these programs, call Liahona Academy at 1-800-675-8101. Sometimes, it is difficult for parents to accept that their teen should seek treatment from a program that can fit their needs. Denial is often a big roadblock in recovery, for parents and for troubled teens. For some teens that struggle with personal issues, professional help can make the different between life and death. A facility should be chosen based off the issue your teen is trying to cope with. It is often hard to decide which treatment is right for your troubled youth. Remember to research each option carefully for a perfect match to your child’s situation. Each option exercises great programs that can help behavioral issues, emotional issues, substance or drug addictions, academic issues, and/or family issues. Liahona Academy is a residential treatment center that can help in these areas. A residential treatment center is a great option because it helps to remove each troubled teen from the core issue they are having and gives them a chance to open their mind. The path can take time, but sometimes time can help more than anything. In most cases, teens feel they are given a second chance in a new home with a built-in family to support them during this difficult transition. A facility that can help your troubled youth must have an effective faculty and staff that will work hard to change your life and the life of your teen. 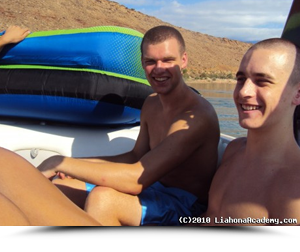 Our great faculty and staff at Liahona Academy also make the difference from other programs or residential treatment centers. We hire on professionally trained, experienced, and friendly staff that have made positive influences on troubled youth and their families. A residential treatment center, like Liahona Academy, is effective and can help correct your child’s personal issues. If you are not sure if these centers will work for you and your teen, continue to research every program available. For recommendations from professionals, call Liahona Academy at 1-800-675-8101 today.